This sample was included in my Summer Target Beauty Bag. To see everything I got in my Target Beauty Bag, Click Here. 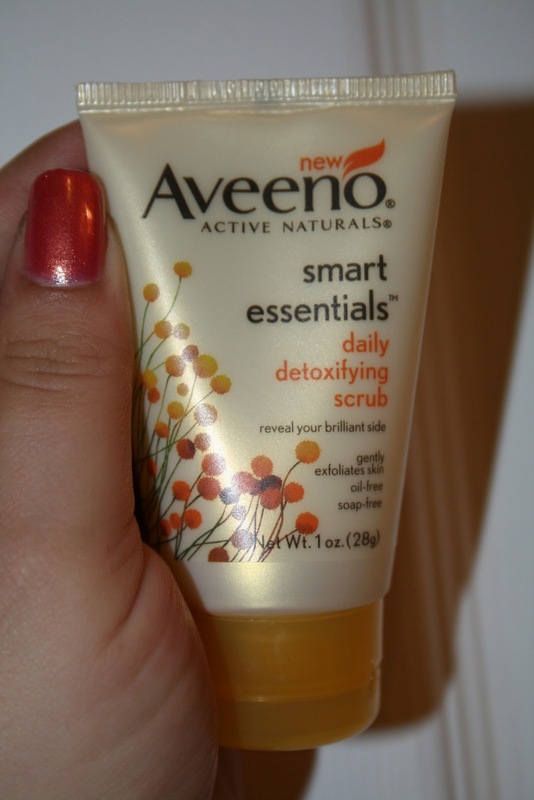 I have never tried any Aveeno products, but I have heard good things, so I was excited to try this scrub! It is very creamy and the exfoliating bits are small, but plentiful! It lathers nicely and has a soft, clean fragrance. I was really surprised that a scrub this gentle feeling was as effective as it was. After using it, my skin felt softer, smoother and still felt moisturized. What is your favorite face scrub right now? I haven't tried this scrub, but I have tried the moisturizer. I didn't care for it much.